NavTech is a separate blockchain and software platform which operates on top of the NavCoin protocol. NavTech is an application which operates in parallel to the NavCoin protocol to provide optional private payments of NAV. NavTech uses a dual blockchain system for sending private NavCoin payments. 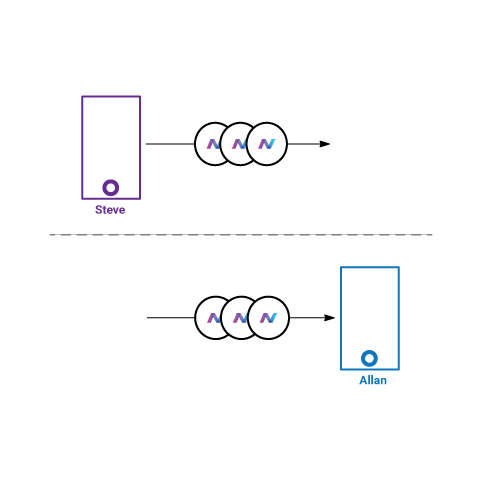 Essentially, the transaction information is encrypted and sent in & out of a second blockchain, which helps break the link between the sender and receiver. The code is open source and decentralized – meaning anyone can setup their own NavTech servers or use other community operated ones. NavTech comes integrated into NavCoin Core, NavPay and the NavPi. Just select the ‘Private Payment’ button when sending a transaction. NavTech is built to protect your privacy, so that you’re in control of your financial information. NavTech splits payments into multiple amounts, varies the timing between sends, and hides amongst non-private payments. NavTech doesn’t use any experimental encryption methods. It uses 2048 bit RSA, which has been widely studied, and is considered to be secure. NavTech is built on top of a second blockchain that deals exclusively with encrypted data. This allows a recipient to receive coins from an address that isn’t connected to the sender. The NavCore team have proposed enhancements to NavTech which aims to make the private payments more decentralized, and more powerful.